If you are moving into a new house and are in need of area rugs, or have decided you want to change out old rugs for new, you want to be sure you are picking out the perfect rug for your space. Every space is different and there are some guidelines to follow for each one. Leading Carpet Cleaning is here to share some tips for choosing area rugs for the different areas in your house. From a design stand point, choosing your area rug first is the way to go. From there, you can choose furniture that compliments colors found in your rug. Paint colors can also be chosen once you have chosen your area rug. Most of the time, you rugs are the focal point of the room and you want the space to have good flow. When choosing an area rug for a living space, the biggest rule you want to be aware of is size. Don’t choose a rug that is too small for the space. You should be able to put the front legs of the couch or chairs on each side of the rug, on the rug when it is the right size. If the entire rug fits in the middle of the furniture, you need a larger rug. You should also make sure that the rug is as wide as the couch that is sitting on it. In the bathroom, you can go bolder. It is a small space and putting pops of color in the room with the rug is a great way to incorporate color. Choose a shape, texture, or pattern that is out of your comfort zone. Bathrooms are a great place to put round rugs. Should You Put a Rug Under a Dining Room Table? If you are looking for a rug to go under your dining room table, you want to make sure the rug is slightly larger than the table sitting on top of it. You also want the rug to be the same shape as the table. A round table needs a round rug, rectangular table needs a rectangular rug, and so on. Bedrooms are a great place for area rugs. They can add style and warmth to the space. Placing an area rug at the foot of a bed softens the space. Let the rug hang out into the room from underneath the bed to pull the space together. If you are looking for a rug to complete your outdoor space, choose something that has an organic feel to it like the space it is meant for. Sisal and other organic materials make great outdoor rugs and can bring some comfort from indoors out. No matter what rugs you choose for your home, it is important to take care of them. Just like carpet, they need to be cleaned professionally each year. Leading Carpet Cleaning offers area rug cleaning to extend the life of your area rugs. Call us today! It might scare you to think about what’s lurking in your carpets or your mattress. These are two of the most expensive and important investments in your home and are highly used too, making them the last places you want germs. Carpets are filled with germs and it’s always dirtier than it looks. It probably has 200,000 bacteria per square inch, that’s around 4,000 times dirtier than your toilet! Your mattress is the most vulnerable place in your home and is subject to invasion by bacteria and viruses. 1. Methicillin-resistant Staphylococcus aureus(MRSA). This is the big one when it comes to bacteria and can quickly take over your carpet and mattress. Even more so if you have athletes in the house. It’s resistant to penicillin and can be brought home from the gym or locker rooms via a gym bag that never gets cleaned or your shoes, through your sweat. Having a cut is dangerous when MRSA is floating around. MRSA can be present for hours or even years and can become untreatable, possibly causing death. 2. Norovirus, also called the Norwalk virus, can produce symptoms similar to food poisoning or the stomach flu. It can thrive in your carpets or mattress four to six weeks and will be airborne whenever you walk over the carpet or roll on the mattress. Areas with lots of dust increase the danger. 3. Campylobacter. This one is extremely dangerous during the winter months as we track in bacteria-friendly dampness into our homes. It can lead to campylobacteriosis, which can be a deadly disease. Those with compromised immune systems, like the elderly and small children, can be more at risk. Symptoms include cramping, abdominal pain, bloody diarrhea and fever. 4. Micrococcus. This one is also bad for those with compromised immune systems and can lead to dangerous-looking skin infections, septic shock, meningitis and possibly death. 5. Enterococci. While this one is actually a normal bacteria that lives in your intestines, some strains can cause serious infections for us that can lead to urinary tract infections, diverticulitis and meningitis, with some strains resistant to treatment. There are ways to keep you and your family healthy. Vacuum regularly ad keep your carpet dry. Have it cleaned professionally on a regular basis or whenever you feel you need to have it done. High-traffic areas can be covered with washable area rugs too. Cleaning your mattress can also help as does trying to take a shower before going to bed to remove the amount of germs and dirt you’ve picked up throughout the day. Add an extra layer between you and your mattress with a washable mattress pad and wash it regularly. Make sure you replace your mattress every 7 to 10 years. More so if you have allergies and have your mattress cleaned professionally on a regular basis. Do all you can to prevent viruses and germs on your carpets and mattress, and call Leading Carpet Cleaning when you need to have them professionally cleaned. Are there some parts of your home that develops a lot of static charges? It might get pretty annoying to continuously get zapped as you go from place to place. Well there are many reasons why carpets build up a static charge. Better yet, there are a few tricks to prevent the static. Leading Carpet Cleaning will share a few ideas on how to make your home static free and no more shocks. There are many reasons why carpets build up electricity and cause an electrical charge when a person comes in contact with an object that discharges the static. There are some carpets types that have a way of building an electrical charge more so than others. The padding underneath your carpet may even play a part. Nylon seems to be one of those types of carpet that have more static than polyester carpets. Not to mention one really bad habit that seems to follow most all of us is the dragging of our feet. If we do this, we can expect to get shocked wide awake when the event occurs. Besides the dragging of one’s feet another problem that affects carpet is dry air or low humidity inside a room. Why you wonder is that a problem? Moisture or humidity in the room falls to the floor, putting a fine layer of water on top of the carpet. This layer acts as a barrier between the electrical current from in the ground or carpet and you. One remedy to the problem is placing a humidifier in the area affected the most by static. This will create a protective layer. Or there are some commercial products you can buy that also achieve the same goal. There are products such as spray-on anti-static chemicals that reduce static charges on carpets. Shadow FX or Staticide are a few of the products that will reduce the static in the room. They are easily found on the open market. However there are some downsides to these types of products. For one, it is obviously not a one time cure. You will need to apply it regularly to prevent the static from returning. Another major drawback is that they can be rather sticky once sprayed on. This mean dirt and muck will stick to your carpet, which leads to a need for regular carpet cleaning. If you’re not keen on cleaning your carpet every few weeks, you may want to look for another alternative. Luckily we have one more trick up our sleeve. There is a home made cocktail that will reduce the static in your carpets. One tablespoon of rubbing alcohol and fabric softener with 8oz. of water mixed together in a spray will be a saving grace. Use this mixture to reduce the static. Your homemade cocktail combined with a humidifier might be all you need to reduce the static charges on your carpets. You will find that freshly cleaned or newly installed carpet holds the most static charge. Try using these tricks to help reduce those shocking moments in your home. Leading Carpet Cleaning knows how annoying zapping carpets can be. We hope these few tricks will reduce your static problems. For all your carpet care needs Leading Carpet Cleaning will be happy to further assist you. Call us today. The carpet in your home is a wonderful addition, not only for style but for comfort as well. But carpet is only great when you take great care of it and keep it clean. A dirty carpet will house dirt and dust which can make it look and feel dirty. There is also a great chance that there will be dust mites, bacteria from illness and more debris that can lead to your family feeling ill. You want to make sure that all these contaminants are taken out of the carpet fibers to make sure that the carpets last the amount of time they are recommended. Having good looking carpet is a must and it will also lend well to the extension of the life of the carpet too. Know What Carpet You Have: One main thing that people do wrong when caring for their carpet comes down to treating the carpet incorrectly. There are many kinds of carpets that can have different needs. You can find out what your carpet needs by asking a professional or getting information when the new carpet is installed. There may be a specific kind of cleaner or vacuum that works best for your carpets. Clean Carpet Stains Quickly: Another way to make sure that your carpets look their very best while you have them is to clean up spills as quickly as possible. A spill can easily soak into the fibers and end up causing damage the longer it is left to sit. The best thing you can do is to move as soon as possible to treat the spill so that it has the least amount of time to soak in. A spill can even soak past the fibers into the backing and down into the padding as well. When it gets that far it can end up being a reappearing stain and come back to haunt you. Be sure that you have a tried and true method of removing stains from the carpet when they happen. If you are not happy with your at home stain removal you can always hire a professional to come out and treat the stains as well. Vacuum the Carpets Regularly: The best thing you can do for your carpets is to make sure that you run your vacuum regularly. 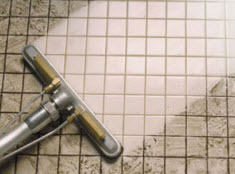 You want to make sure that you remove as much dirt and debris as you can and get rid of the allergens as well. The vacuum is a great way to keep the carpet fibers clean and it makes the professional cleaning go much smoother. Be sure that you have a good vacuum that rotates to help pull any dirt that is starting to settle down in the fibers. Have Carpets Cleaned Professionally: The carpet cleaning is a huge way to extend the life of your carpet. A professional carpet cleaner will be able to use our industrial suction to remove that set in dirt. 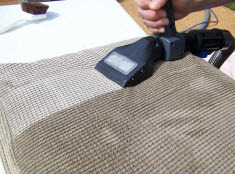 We can also use a pretreatment to get the stains out of the carpet that you were not able to. Professional Carpet Cleaning In Orange, Santa Ana, Rancho Cucamonga, Anaheim, Whittier, Riverside, Chino & Fullerton, California. 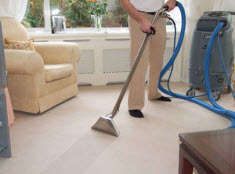 Leading Carpet Cleaning is a full service floor and upholstered furniture cleaning company.